Psoriasis is a chronic autoimmune condition that causes the body to overproduce skin cells. This leads to a fast buildup of the cells on the surface of the skin. 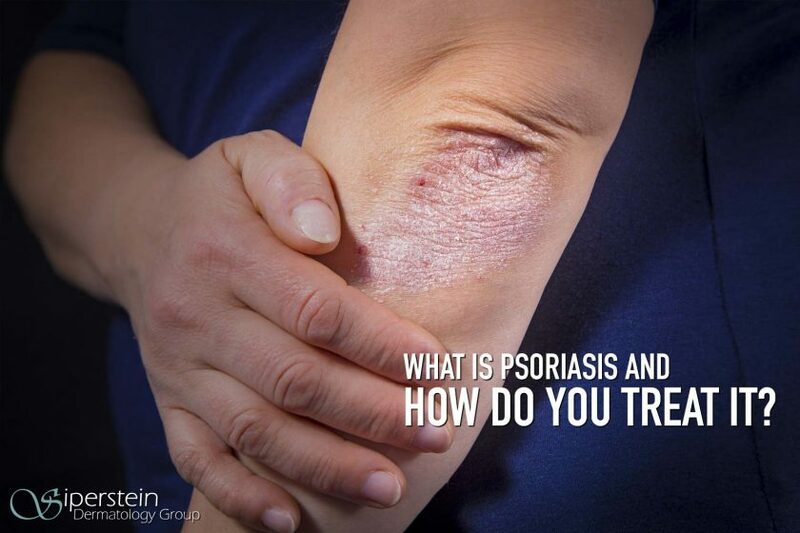 These extra skin cells form scaly plaques that appear red and patchy and can be itchy and painful at times.Psoriasis can affect both men and women as well as all racial groups. It can occur at any age and even affect some infants. It has, however, been found to develop most often in people between the ages of 15 and 35. Psoriasis is a life-long disease that unfortunately has no cure. There are, however, various treatment methods to better manage the symptoms. It is therefore important to consult aboard-certified dermatologist to understand the various treatment options. These are often the core of Psoriasis treatment as they help relieve the itching and redness of the plaques. These include creams without steroids such as Vitamin D creams, anti-inflammatory creams and coal tar creams. Blue light treatment will target the skin lesions and help heal the affected areas. When the Psoriasis is more severe, then systematic medications and injections are needed. Determining the severity of the disease is multifactorial and it is therefore important to consult a healthcare professional to diagnose the disease and seek treatment. Although Psoriasis is a relatively common disease, affecting 2% of the U.S population, there is little evidence as to what the main cause of the disease is. What is known is that it is not contagious and the cause is linked to a dysregulation of the immune system and genetics. It is quite often that if someone is at risk for psoriasis due to a dysregulation of the immune system or genetics, then the disease is brought on by a trigger. A trigger can range from high stress to certain medications or infections. There are various psoriasis conditions depending on where it occurs on the body. The most common type of psoriasis is plaque psoriasis. The thick, scaly, dry skin lesions are referred to as plaques and can occur anywhere on the skin but the most common areas are found on the: knees, elbows, scalp and lower back. Psoriasis can vary over time and tends to go through cycles where the plaques will flareup over a few weeks or months and then subside for an extended period of time. This can also range from a few spots in one area or huge clusters covering the entire body. Why Is It So Important To Treat Your Psoriasis? If Psoriasis is left untreated it can result in various associated conditions as well as worsened symptoms. Some of the known conditions linked to Psoriasis are arthritis, cardiovascular disease, and depression. About 30% of patients with psoriasis will develop psoriatic arthritis, if left untreated. This type of psoriasis will result in the inflammation of joints and can lead to severe swelling, stiffness and pain. Joint pain is most commonly found in the hands and feet but can affect any joint. Some serious cases of psoriatic arthritis can lead to permanent deformity. « What Is Eczema And How Is It Treated?